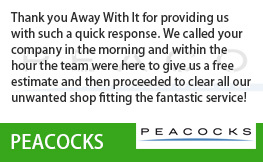 Are you looking for fast, reliable commercial waste removal Loughton? 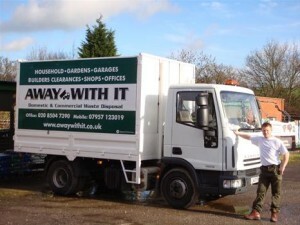 For more than a decade Away With It has been supplying commercial waste removal Loughton businesses trust and recommend. 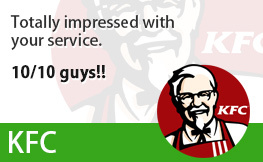 They love our fast, flexible services and affordable prices. And we’re confident you will too. 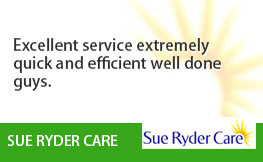 Our business waste service is perfect for businesses of all sizes. No job is too big or too small for us to handle. 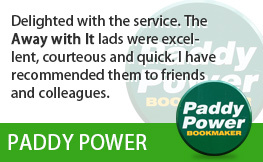 All of our bookings are in two hour slots at a time convenient for you. Need us on the evenings or weekends? No problem – we’ve got it covered. You’ll receive a call an hour before our professional team arrives to confirm that everything is on schedule. 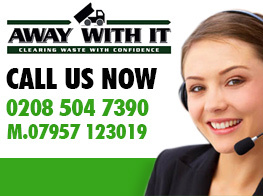 The price we quote includes all labour, transport and disposal fees. There are no surcharges and no hidden extras. And our rates are among the lowest on the market. 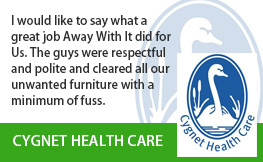 Our friendly, service minded team will set to work and stay with you until everything has been cleared, sweptand cleaned up. If it takes multiple trips then so be it. 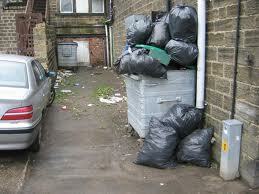 As much of the waste we’ve collected as possible will be recycled or re-used which generally equates to around 80%. 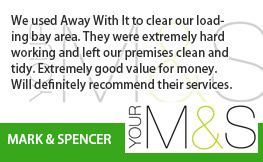 Give us a call now on 0208 504 7390 or 07957 123019 to discuss your requirements for commercial waste removal Loughton with a member of our experienced team. They are are here seven days a week from 7am to 11.30pm to take your call. They’ll be happy to put together a service package that suits your business needs and budget and provide a competitive quote. As an alternative you can use our online form to submit your details and get a fast quote.